Canine companions deserve a special place to rest their weary paws and we manufacture just the right inner pillows for dog beds. 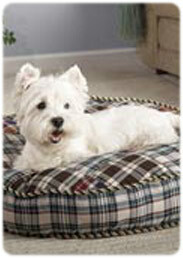 We produce soft and cozy inserts for pet beds designers according to their patterns and specifications. 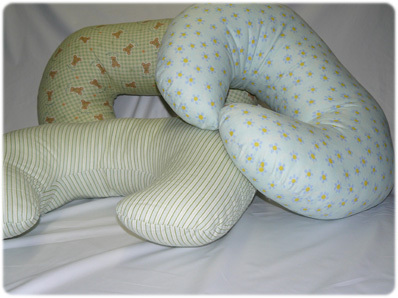 Our durable inserts are filled with 100% antibacterial polyester fiber and are fully machine washable. The resilient fiberfill stuffing offers superior comfort and support making it the perfect choice for pet beds. Bean bag furniture is versatile, lightweight and instantly gives any room a modern, fresh look. We provide manufacturers and designers with high quality, long lasting inners filled with 100% virgin polystyrene beads. This type of filling cradles the body to provide ultimate comfort. We fill and sew chair pads according to our customers’ requirements. 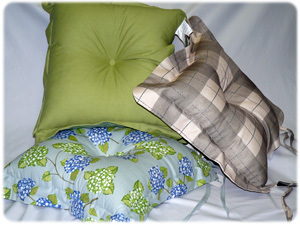 Our clients may also bring in their fabric and we will make chair pads or cushions to suit any décor. 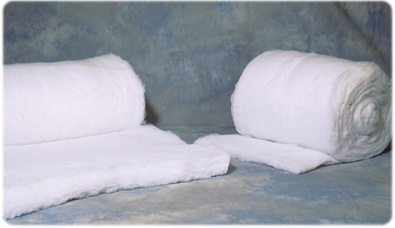 During the fall season, we carry in stock rolls of artificial snow blankets. These versatile rolls may be used to decorate stores, showrooms or shopping centers for the Holiday season. For several years we have been working with designers, manufacturers and retailers to help them supply their customers with quality products. Whether they’re looking to fill decorative cushions, chair pads, patio furniture cushions, dog beds or any other products requiring stuffing, we provide a whole range of options: polyester fiber, feather, down, wool fiber, bonded fiber, polystyrene beads etc. Our experienced team is dedicated to providing superior products and great customer service.